Let's get one thing straight - buying a suit is one of the most important sartorial decisions a man will ever make (no pressure). Navigating the flood of information on different suit styles, cuts and fabrics is hard enough but it's the 'which suit for which occasion' question that really trips most people up. If you've ever turned up to a party feeling completely out of place with your one wedding-appropriate suit on, you'll know exactly what we're talking about. 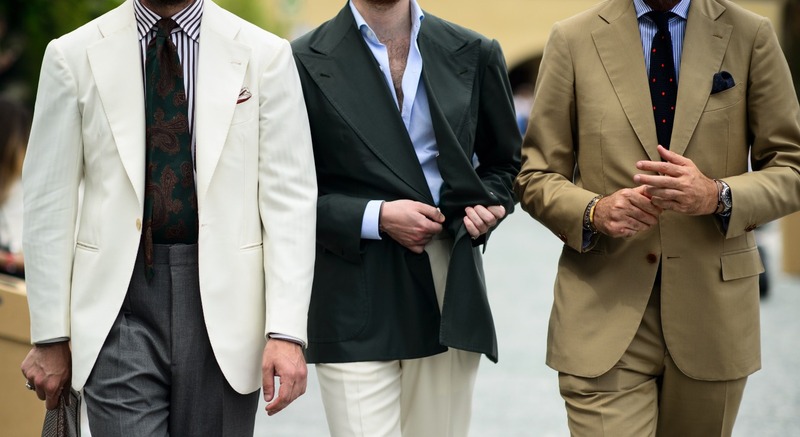 Luckily for you, Lyst has done all the work and rounded up the definitive 10 best suit brands to guide you through any occasion life throws at you. So step away from that flammable blazer and keep reading for an expert's guide to the top suit brands to know. For classic British tailoring with a colorful twist, you can't do any better than a Paul Smith suit. Leading the pack when it comes to work and formal suits - wear a two-button Paul Smith to your important business meeting and save a three-button waistcoat style for the inevitable slew of upcoming weddings. Paul Smith's wool suits are particularly good purchases, with the fabric comforting but light enough to get you through year-round engagements. We recommend the signature Kensington suit styled with a white shirt and colorful cashmere knit and loafers for dressy style that looks effortless. The brand that needs no introduction, Burberry has been making classic British suiting since 1856, and we still can't get enough. 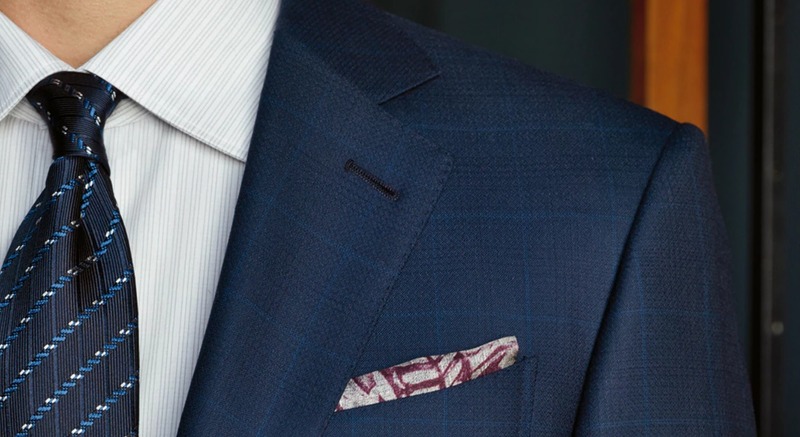 Coming in slim-cut styles such as the Milbank and Stirling, and a range of fabrics from cashmere to linen, Burberry's suits are a popular first luxury or designer suit purchase. Fans of Burberry's svelte cuts include Joseph Gordon Levitt and Tom Hardy. Indispensable for everyday style, a Burberry suit is exactly what you need to up-style your corporate wear. Don't work in legal or finance? 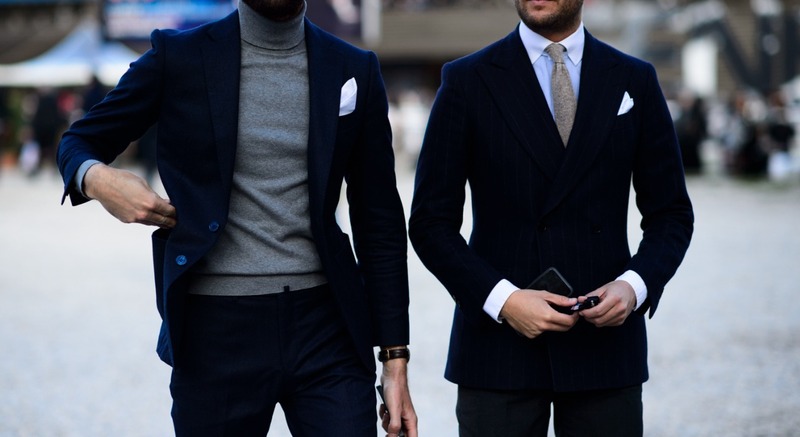 Choose a lighter colored suit and blue shirt for a less formal take on the Burberry look. If you're after a suit that blends traditional tailoring with a modern aesthetic, Brioni is the one to beat. Established in Italy in 1945, Brioni was shaken up in 2016 when Justin O'Shea took over as Creative Director (think embroidered and metallic suits), and has fast become the go-to brand for suit-wearing rock and rollers. If that wasn't enough, Brioni suits were worn exclusively by Pierce Brosnan when filming James Bond (and by Daniel Craig in Casino Royale). 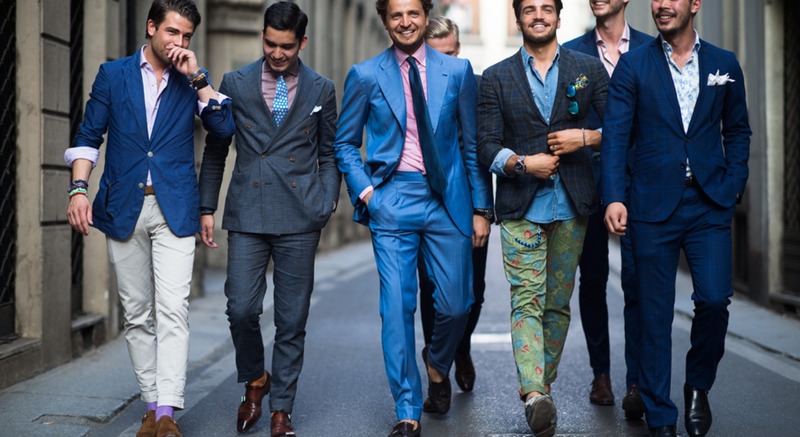 Brioni shines at a wedding so pick something you can wear year-round like a deep-blue Ravello suit. If it's good enough for 007, it's good enough for us. Remember watching The Great Gatsby for the first time and envying everything Leonardo di Caprio wore for three hours straight? All of Gatsby's suits were courtesy of vintage-inspired experts - Brooks Brothers. If that wasn't good enough, it's rumored that F. Scott Fitzgerald himself was a Brooks Brothers customer back in the day. Many suits come with a front pocket so make sure you have a plain white or printed silk design to add a bit of flair at a summer wedding. A red carpet favorite, a Tom Ford suit is the pinnacle of luxury suiting for the Hollywood crowd. 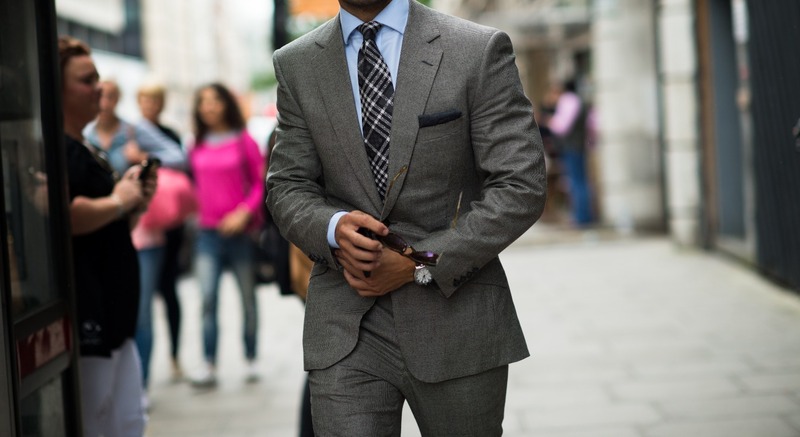 Best known in film for making Daniel Craig look extra everything in Skyfall, let's face it - if you're still looking fresh after sprinting across buildings and dodging explosions, you know you have a good suit. This is most definitely an investment suit but if you occasionally attend black tie or red carpet events, it's one investment worth making. Tom Ford we salute you. As the only newbie in the bunch, it's amazing that Kingsman has taken such great strides in such a short space of time. 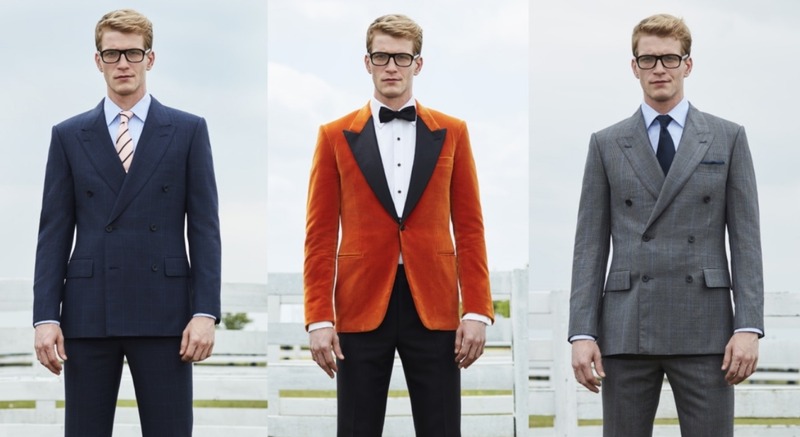 Orginally created as a collaboration between the fictional tailor Kingsman (from the movie) and menswear-powerhouse MR PORTER, the Kingsman suiting collection has proved it has legs and is continuing to be in demand both on and off the red carpet. If in any doubt, just take a look at any of Taron Egerton's looks in the film - you'll be lining up to trade in your TOPMAN suit. Kingsman's vintage aesthetic is a perfect match for winter weddings so there's no reason not to indulge in luxurious fabrics like velvet and cashmere. From young to...less young - Ermengildo Zegna has been producing top-class suits for over 100 years and have none other than Robert De Niro as the face of the brand. One of Lyst's top-selling suit brands this year, Zegna's suits are a classic that keep everyone from the Hemsworth brothers to Daniel Radcliffe well dressed. With plenty of plain and checked navy or blacks styles to choose from, a Zegna suit is firmly in important job interview territory. At least no matter what happens, you know you'll be the best dressed man they see. It's no surprise that another Italian tailor makes an appearance on this list - Boglioli has long been renowned for its fine traditional tailoring and use of premium materials. With softer lines and slim-waist fits, Boglioli have a low-key aesthetic that still manages to feel relevant today. A perfect choice for smart (but not formal) events; think wedding breakfasts, brunches and after-work drinks. There's a reason Boglioli is nicknamed the "dressed-down tailor". When you need to pull out all the stops, there's only one brand that will do - Saint Laurent. Famed for velvet blazers, silk tuxedo lapels and a roster of A-List fans, Saint Laurent is undoubtedly the King of black tie dressing. Saint Laurent rules the red carpet. So popular in fact that Saint Laurent has now also become the top brand for women's red carpet-ready suits - it's no surprise to see everyone from Angelina Jolie to Emma Watson sporting their Saint Laurent suits alongside Jake Gyllenhaal and Drake. Keep your investment for truly special occasions or just slip on the iconic Le Smoking jacket with slacks and loafers for a low-key take on luxury tailoring. To round off the only suit brands you need to know manifesto, the perennial It-brand - Gucci. Despite being worn at every possible opportunity by certain celebrities (we're looking at you Jared Leto and A$AP Rocky), we still can't get enough of Alessandro Michele's suiting. Definitely the most alternative and colorful of our top 10 list, Gucci has earned it's stripes with charming, quirky and bold designs that'll get you noticed. If there's ever a brand to buy a trend-led suit from, it's Gucci. It might not seem practical but you can easily wear the blazer for smart-casual events and a full suit for peacocking at evening events. 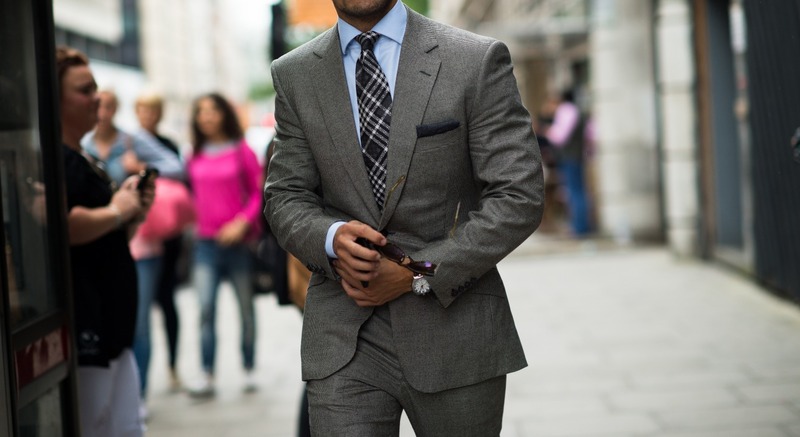 Shop the full selection of suits HERE.